I do like doing Open House London. It marks the start of autumn, the start of a new academic year, a chance to talk to architects, residents, nose round places. 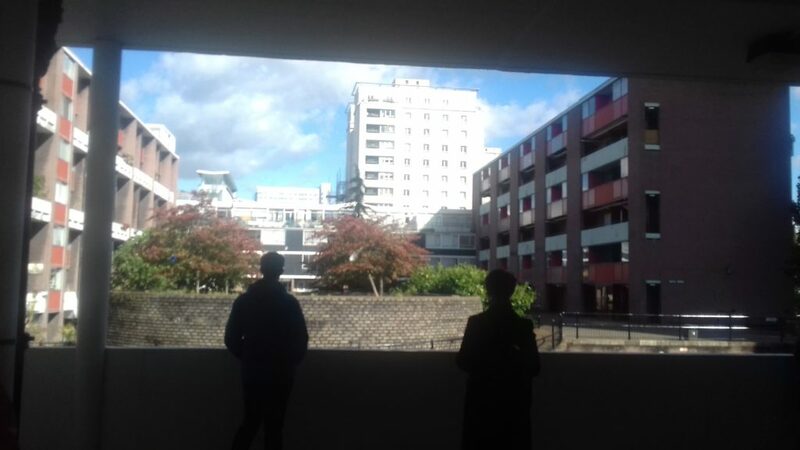 There is a tension, however, when you go on a tour of post-war social housing. 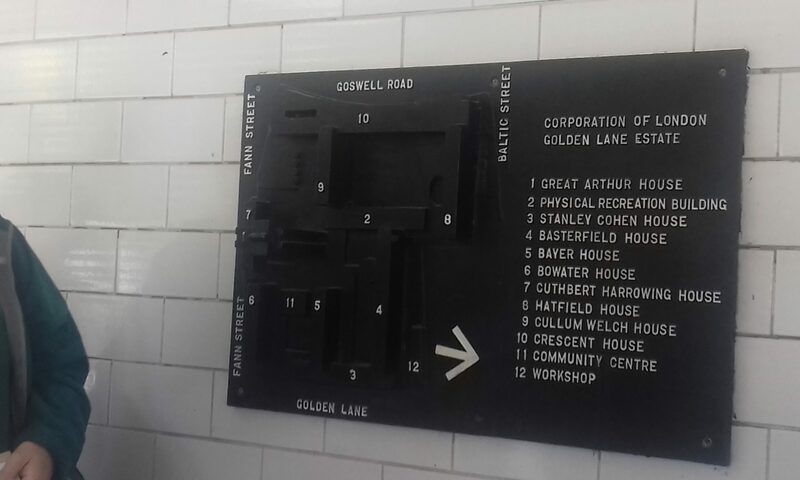 The guide today around the Golden Lane estate in the City of London, the ‘older sister’ estate to the Barbican, surely must have shared an unease I’ve felt. Open House London, especially in the inner boroughs, is essentially middle-class/bourgeois people and art school students touring cool architecture appreciating its aesthetics, facilities and design, but never really interacting with the working-class residents who live there. 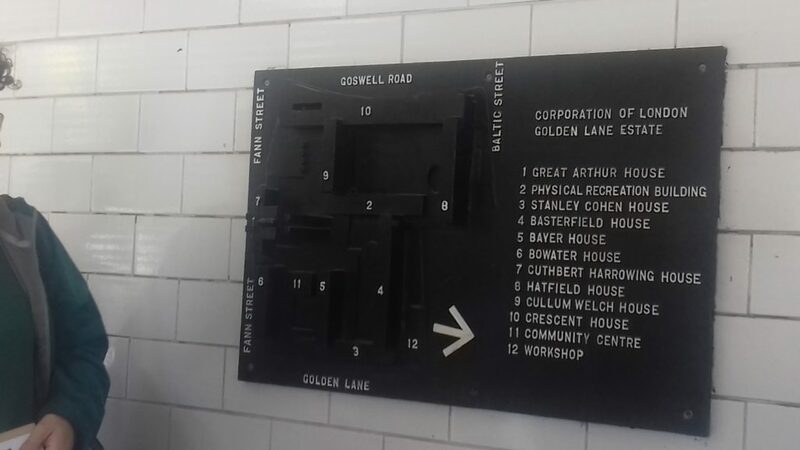 Maybe local residents do rush round London with their Open House brochure, ticking off the art deco 1930s or postwar brutalist sites, but I’ve never really sensed they were there in any of the tours I’ve been on. 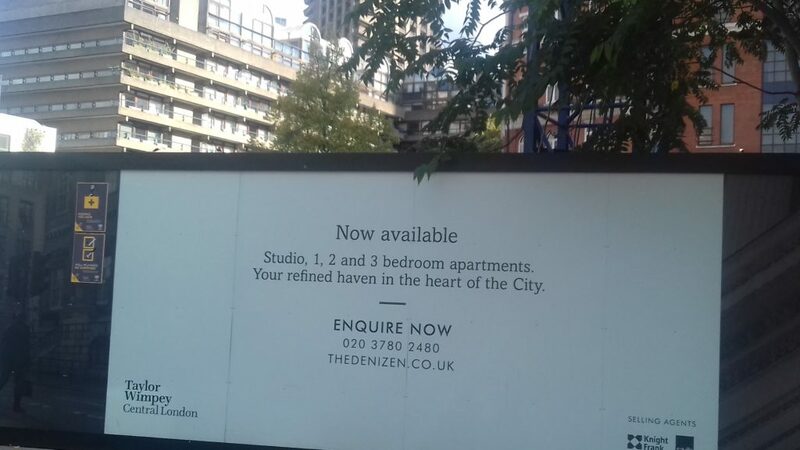 An exception perhaps was Cressingham Gardens. 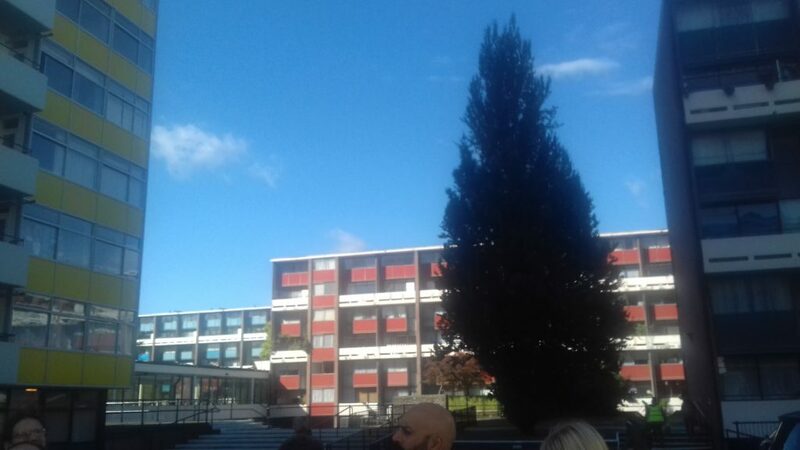 A couple of years ago I went on a resident-led tour when the Save Cressingham campaign had only just got going, and there was certainly a clearer and bolder political purpose to the Open House day there than simply ‘let’s look at the interesting architecture’. 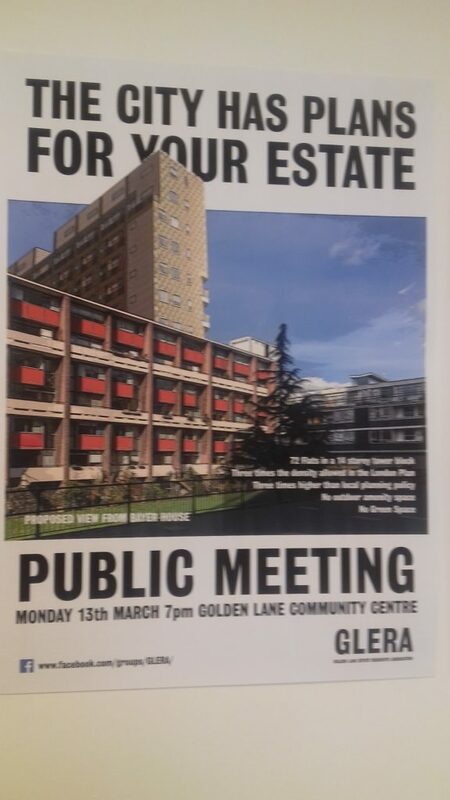 Back to today’s tour of Golden Lane estate. 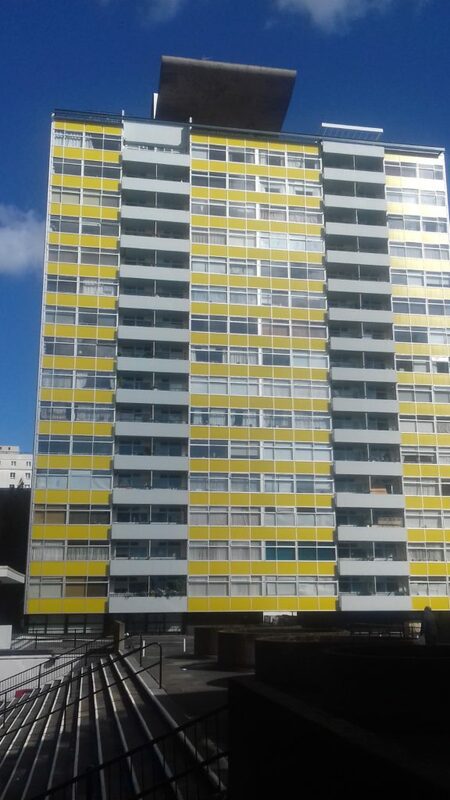 It’s grade II* listed as a whole, built from 1952 by Chamberlin, Powell and Bon. 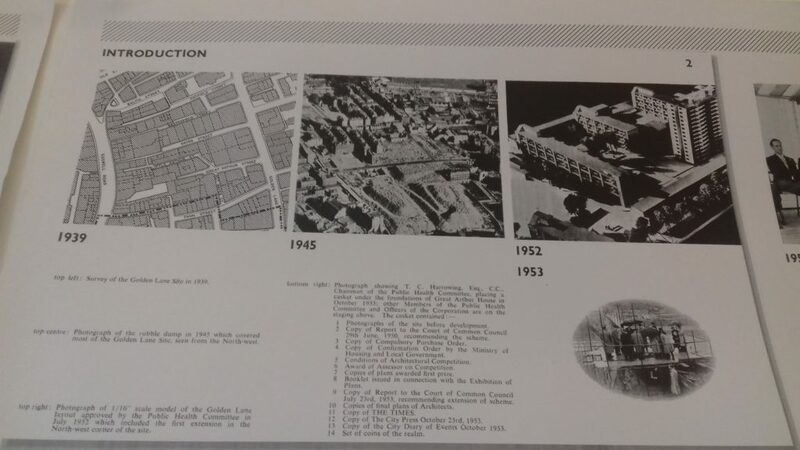 Details here: https://historicengland.org.uk/listing/the-list/list-entry/1021941 and Guide for Residents (PDF) (I’m not going to do a post to the level of research that Municipal Dreams does, for reasons of time and that this isn’t one of my case studies). 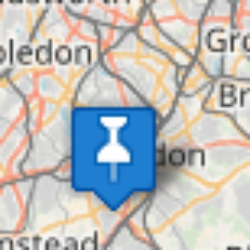 Listing is unusual for council estates, contrasting with the other estates that have been in the news over the past couple of years because of their demolition or proposed demolition, including Cressingham and Elephant and Castle. 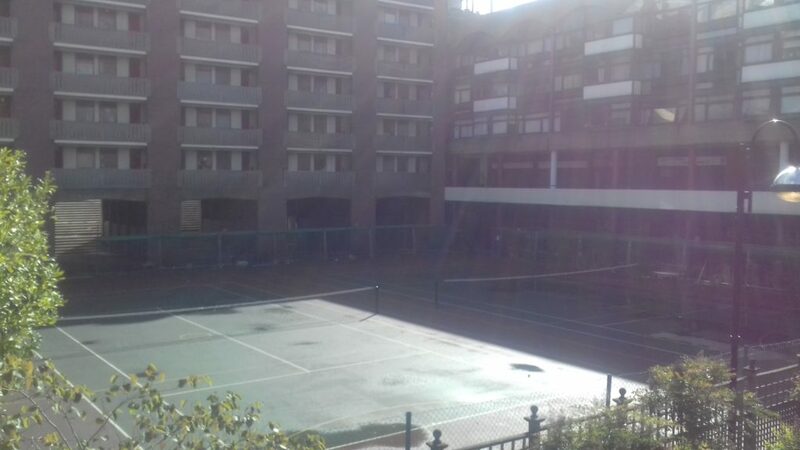 It’s recently been (controversially) renovated, with a revamped community centre (where the architects of the renovation held talks and there was a small archive) and the first stage of big renovation, the main thing I was looking out in particular for the types of open space in the estate. The guide said that the original plans allocated 66% for open space. As the estate was built on top of the ruins of blitzed houses, there was a lot of uneven ground and rubble, so the estate is stepped and on different levels. There are some attractive communal gardens with some water features, but the first stage of the buildings do not have much outdoor space for the residents other than small balconies. 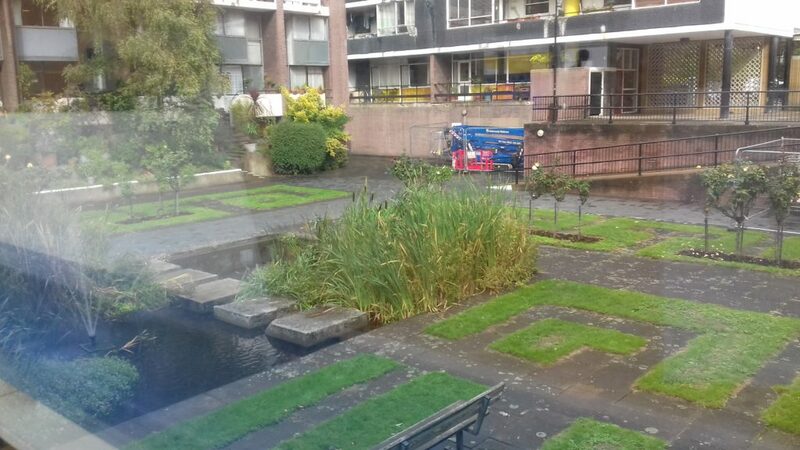 The Great Arthur House, now newly restored, had a roof garden with a water feature that was supposed to be reflected off the concrete at the top, but it had been closed for over a generation. 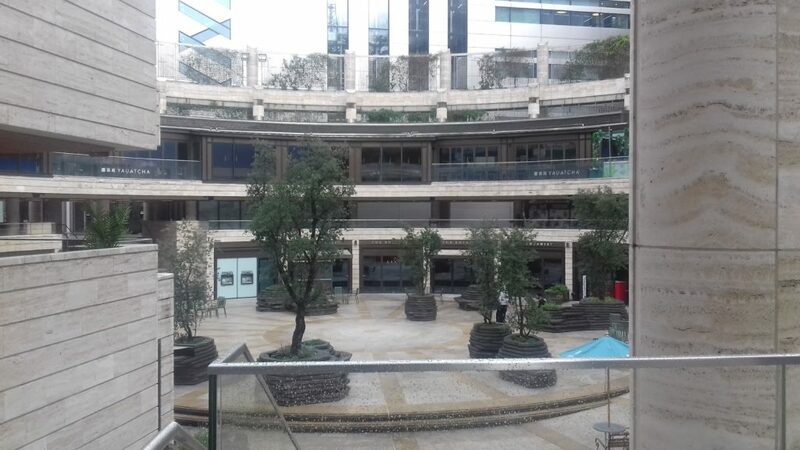 The later buildings however anticipated the Barbican that the architects would go on to design, with shared walkways looking out over open courtyards. The Bastion. Built on rubble mounds. It was locked and overgrown. 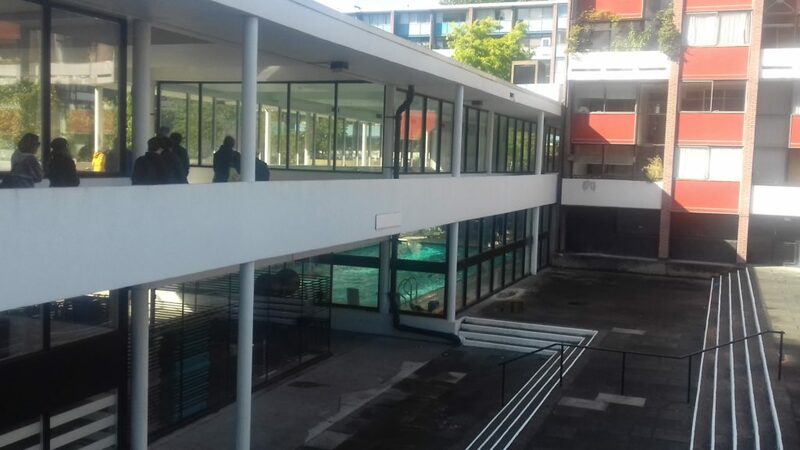 The piece de resistance of the estate were the sports facilities, notably the beautiful indoor swimming pool. I did notice that there was evidence of some debate about whether the pool should be restored or not on a poster on display. Two major changes to the original design of open space were firstly the replacement of the bowling green with tennis courts, and more significantly, allowing car parking on the main square, which has diminished its use as a potential communal gathering space. 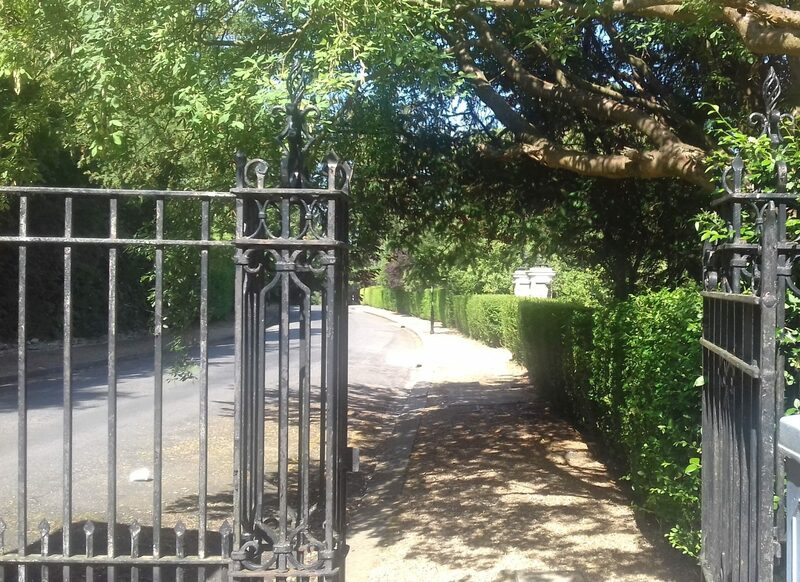 The estate was designed to be inward looking, in order to foster a sense of community and also to provide an escape from the grim blitzed rubble of bomb sites around it. 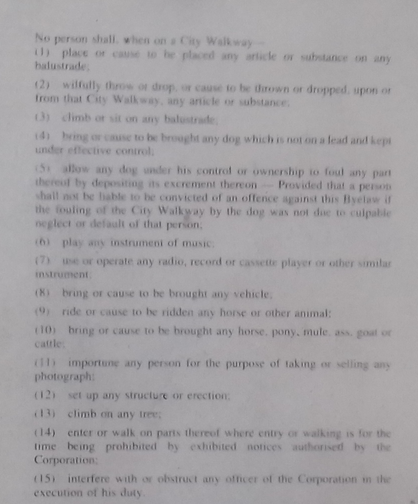 I’m also interested in the byelaws and rules around residents’ use of the communal spaces. 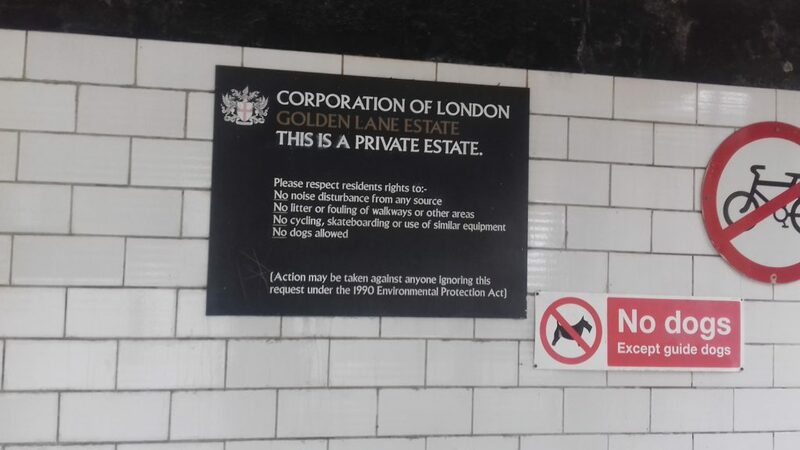 And whether they count as public space, as this is technically a private estate run by the City of London corporation and having its own rules. 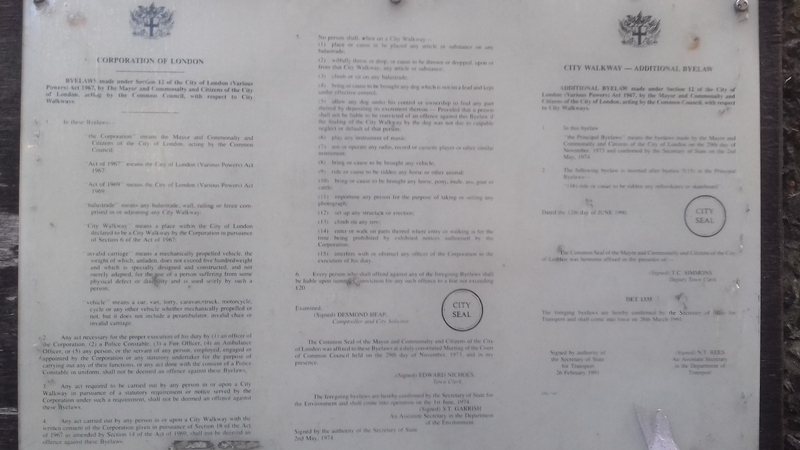 Here are the rules governing the Barbican. 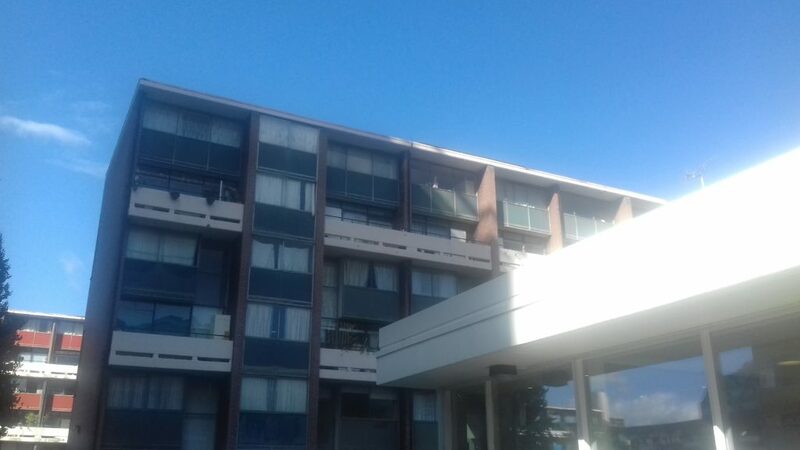 They include maintaining safety along the balustrades, keeping dogs on leads, no playing of music outside, riding or bringing animals in, climbing trees.